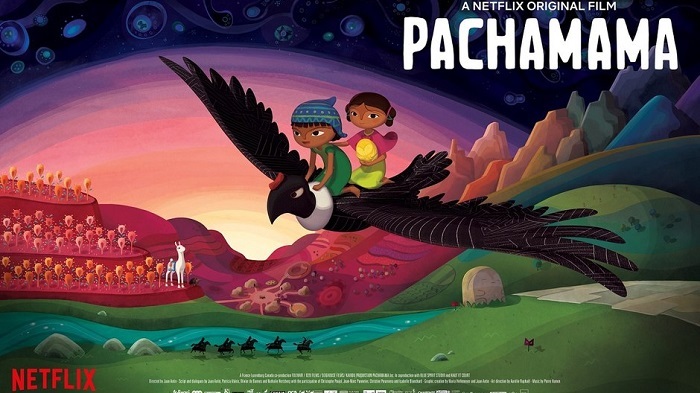 Netflix has announced that writer-director Juan Antin’s César Award-nominated animated feature film Pachamama, a hybrid animation adventure film about a young boy living in a remote village in the Andes Mountains, will debut in June of 2019. The film is produced by Academy-Award nominee Didier Brunner. Additionally, Damien Brunner, Olivier de Bannes, Pierre Urbain and Brice Garnier served as producers with Blue Spirit Animation and Haut et Court as co-producers. Bannes, Patricia Valeix and Nathalie Hertzberg served as co-writers alongside Antin, with the participation of Christophe Poujol, Jean-Marc Pannetier, Christine Ponzevera and Isabelle Blanchard. Pachamama is a 2019 César Award nominee for best animated feature, selected by The Academy of Cinema Arts and Sciences in France. Winners will be announced at the fourty-fourth César Awards ceremony on 22 February 2019. Pachamama is set to play in the Opening Spotlight at the twenty-second annual New York International Children’s Film Festival on 24 February 2019, ahead of its June launch on Netflix.